For those unfamiliar with Orion nebula, it is basically a stellar nursery about 1300 light years from Earth (relatively close). The label, HH 204 in the picture, points to a Herbig-Haro object. These HH objects are indicators of places where jets from young stars (yes, very young stars are often surrounded by a disk that accretes material and some of this escapes in the form of high speed jets) hit the surrounding gases. [T]his telescope is constructed by a pathologist, Major Ashraf in Pakistan Army who is not even an engineer. 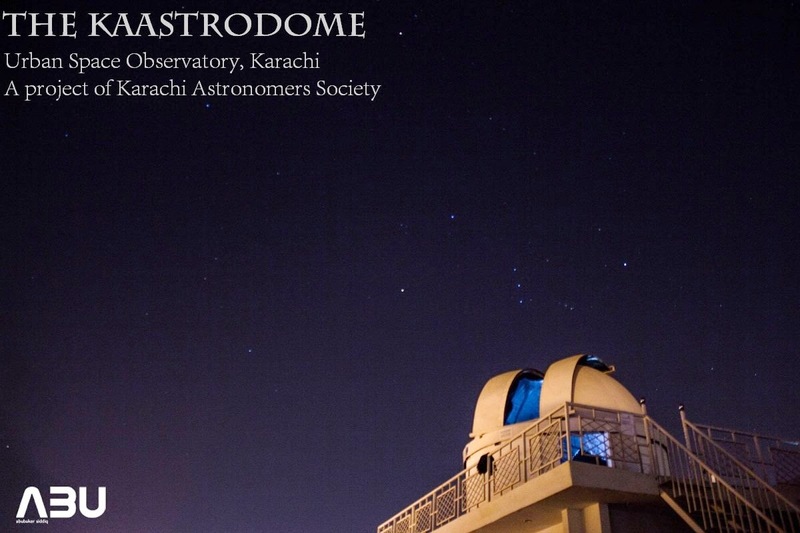 It is housed in the first private dome observatory in Pakistan, The KaAStrodome, designed by myself and constructed by me and my brother Mehdi who is also the president of Karachi Astronomers Society. 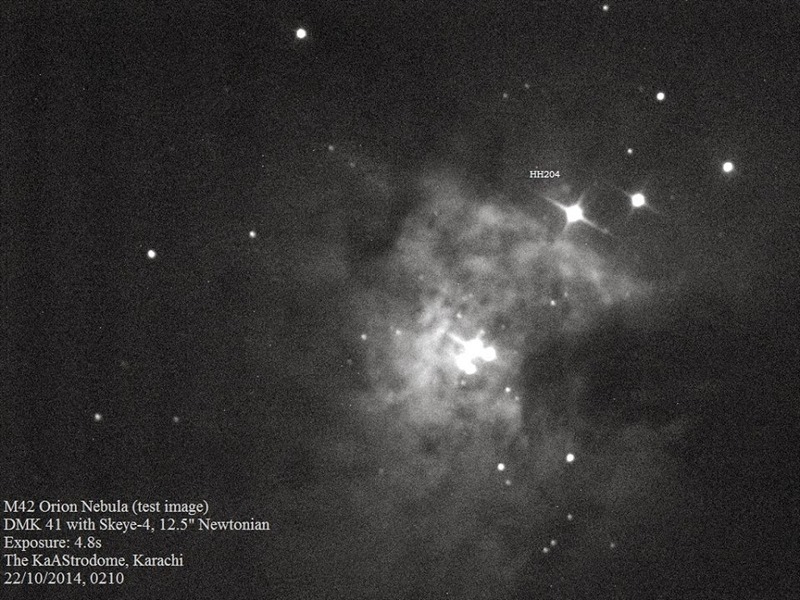 This picture reveals the power of a medium sized telescope from light polluted skies of a metropolis to reveal the fine details of a nebula, if skillfully designed and constructed. The dome looks great and Orion is always majestic. I'm pretty sure that I saw this very view of Orion a million time when I was growing up in Karachi. It is wonderful to see that astronomy is flourishing in Karachi. Great image! This observatory will be a big milestone for spreading Astronomy in Karachi and beyond. Congratulations to all those who thought of the idea and made it happen. Someday i will visit this place! Best wishes! Thanks Akbar - will definitely visit the observatory when I visit Karachi. Abubaker: You can email the link or send the picture directly. My email is on the blog page to the right...or you can find me on the Hampshire College website. Thanks! I absolutely like HH objects! In fact, this image from KAAS (Karachi Amateur Astronomers Society) was one of the firsts I recieved from Mohammad Akbar Hussain to tell me about HH objects within the orion nebula!